While the optimum amount of vitamin D is still subject to debate, a new study finds one thing for certain; over six million American children are getting too little of this essential nutrient. The American Academy of Pediatrics recommends that children obtain blood levels of vitamin D of at least 50 while for adults 75 to 100 could lower the risk of heart disease and specific cancers. Based on this data researchers found that 6.3 million US children, almost one in five, were deficient in vitamin D. Of interest, 80% of Hispanics, 92% of blacks, and 59% of white children were found to be vitamin D deficient. The body naturally produces vitamin D when the skin is exposed to sun. In addition the intestines, liver, and kidney all work in conjunction with the skin to form the ultimate end product: vitamin D3, otherwise known as cholecalciferol. Centuries ago, the eucalyptus tree was thought to cleanse the environment, so the frail and sickly would choose to live in areas where these fragrant trees grew, hoping for recovery from their ailments. While just living under the trees might not be the cure people hoped for, the tree does indeed offer healing. The Australian Aborigines applied crushed eucalyptus leaves to wounds to promote healing. They also used the leaves to fight infection and relieve muscular pain. In India it is used to cool fever and fight contagious diseases. Therapeutic uses: Antibacterial, asthma, arthritis, chicken pox, coughs, decongestant, fever, insect repellent, measles, migraine, muscle pain, rheumatism, shingles, sinusitis, sprains, throat infections. 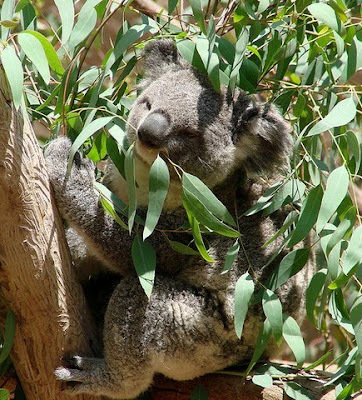 FUN FACT In the 19th century, eucalyptus trees were called "fever trees," because they destroyed the breeding ground of the malaria mosquito. The tree grows fast, and uses up large amounts of water, thus large amounts of the trees can turn swamp into usable land-and also rid the area of mosquitos in the process. A new study from researchers at Harvard found Omega-3 deficiencies can cause up to 96,000 preventable deaths annually in the United States. 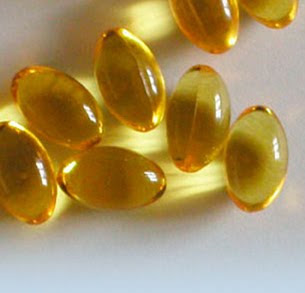 Omega-3 fatty acid deficiency ranked as the sixth highest killer of Americans. Tobacco smoking ranks as the highest risk factor for preventable death followed by high blood pressure, obesity, physical inactivity, and high salt intake. Studies on Omega-3 fatty acids are becoming increasingly more important as we recognize the benefits of Omega-3 supplementation. Omega-3 is an essential fatty acid consisting of EPA and ALA. On this note oily fishes such as sardines, anchovies, and mackerel are good sources of Omega-3. However, given that our oceans and streams are polluted withmercury, dioxins, and contaminants, even too much fish can be hazardous. Therefore researchers suggest fish consumption be limited to two times a week. Tea Tree Oil is a natural antifungal, antibacterial, antiviral, anti-infection oil. It is effective against nail fungus, ringworm, athlete's foot, dandruff, acne and many types of infestations including lice, mites and scabies. Tea tree oil is not just soothing and disinfecting, it is capable of penetrating into the lower skin layers with its anti-inflammatory, disinfectant, analgesic (pain killing) and cicatrizant (wound-healing) qualities. It helps the skin to heal by encouraging the formation of scar tissue. People with sensitive skin should introduce the oil with caution. 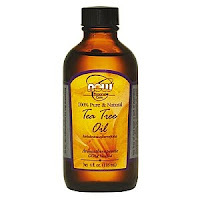 Tea tree oil is not to be taken internally except as a mouthwash or gargle as directed. Vitamin B12 is an essential vitamin that is found in meat and dairy. It plays a critical role in the health of the nervous system and the production of red blood cells. The American Academy of Family Physicians has listed the following as symptoms of a vitamin B12 deficiency: dementia, depression, anemia, nervous system abnormalities, an increased risk of heart disease and stroke. Vitamin B12 is one of the water soluble B vitamins. The B vitamins are also known as the brain vitamins and the vitamins most necessary to help us in times of stress. In addition, in times of a B12 deficiency, patients often report difficulty thinking and concentrating. Jitteriness, irritability, and mood swings as well as fatigue, lack of energy, and cold hands and feet. Many people are B12 deficient and rather than take B12, assume their problem is related to something else. A simple, easy way to evaluate B12 status is to begin taking an excellent supplement and see if symptoms improve. Upon supplementation some people notice improvement within a few days; for others it can take up to three months. However, virtually everyone who begins taking a good B12 supplement reports improvement in energy, stamina, and well being. Alfalfa is a plant which sends its roots down twenty to thirty feet into the ground and brings up minerals that are not available on the surface. For this reason, the Arabic word Alfalfa means "father of Plants". Alfalfa is rich in vitamins, minerals and other nutrients that play a vital role in the growth of our bones and in the maintenance of a healthy body. It contains protein and vitamin A, vitamin B1, vitamin B6, vitamin C, vitamin E, and vitamin K. It also contains calcium, potassium, carotene, iron, and zinc. It can be taken in the form of seeds, leaves or tablets. Inhaling Peppermint oil perks up our energy levels by increasing cognitive activity. In one study of athletes on the treadmill, participants reported better workload and performance levels when they inhaled peppermint versus jasmine. Other studies confirm anecdotal reports that peppermint makes us fell less sleepy and improves our ability to do administrative tasks like typing, analyzing data, and alphabetizing. Keep a bottle by your desk or in your gym bag for a quick whiff now and then. Or use a diffuser to scent your office or workout space for longer periods of time. 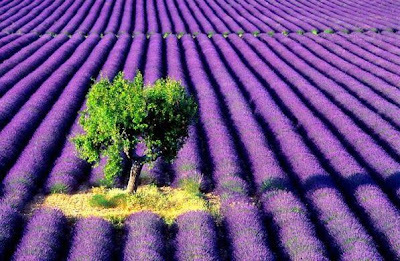 Lavender oil is well-known for it's relaxing properties when inhaled. Clinical research supports its reputation for calming the nervous system, improving mood, and enhancing sleepiness. Rough, dry elbows can make arms seem a little worse for wear, and may even feel uncomfortable. This gentle exfoliating cream gets those joints looking their best. It also works well for removing rough, dry skin from knees and feet. Mix together all ingredients and stir well. Spoon into a clean container. Rub a small amount into your elbows and leave on for 15 minutes. Tissue off and massage more coconut oil or your favorite cream into your skin. Makes 2 ounces. Ear Candling is an old home remedy said to clear out excess ear wax and debris in your ear. Home remedy reports have stated that ear candling can help increase hearing ability, clear sinuses and rid the ear of harmful bacteria. 1) Lay on your side with a pillow under your head. Have the person performing the ear candling lay a dishtowel over your hair and around your shoulder. 2) Take the paper plate and place a small hole in it. Place the plate with the hole over your ear. Put the tapered end of the candle into the hole in the plate and into the ear canal. Be sure that the candle is in a vertical position. 3) Light the large end of the candle with a lighter. Make sure that no smoke will escape. 4) Let the candle burn until it has reached about 2 inches from your ear. Do not let it burn any shorter, so that you will prevent yourself from getting burned. Have the person performing the ear candling extinguish the candle by putting into a bowl of water. Do not blow it out. 5)Repeat Steps 1 through 5 for the other ear. Drinking green tea continues to show health benefits particularly among women. A recent study conducted in Japanese women demonstrated drinking five or more cups of green tea a day cut the risk of dying from pneumonia by 47%. Drinking as little as one cup or less of green tea a day was associated with 41% less risk of dying from pneumonia. This study followed over 19,000 men and 21,000 women average age 40-79 over the course of 12 years. The benefits of green tea and reducing pneumonia risk were clearly identified. These findings were reported in the American Journal of Clinical Nutrition. These findings supported the possibility that green tea contains compounds capable of destroying and inhibiting the growth of viruses and microorganisms. This study becomes one more of many that show the benefits of green tea. For many individuals, drinking green tea is not as convenient an option as taking green tea extract in pill form. Poultices, can easily be made by pouring a small amount of boiling water over herbs and steeping them for a few minutes to release their healing properties. Strain the warm herbs, fold them in gauze or thin cloth and place them on the affected area. Powdered herbs do not need to be steeped. Simply make the powder into a paste with hot water and apply in a cloth.